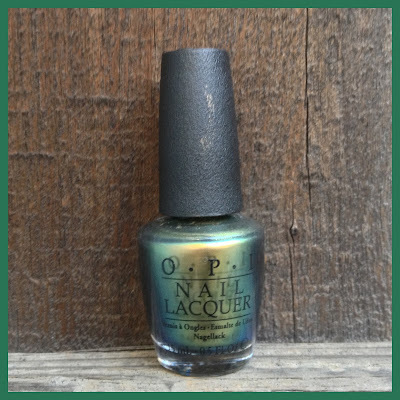 What I Blog About When I Blog About Books: NOTD: OPI "Just Spotted the Lizard"
Today's nail post is for OPI's "Just Spotted the Lizard," a release from OPI's Amazing Spiderman Collection. I did a post for this polish alongside "Number One Nemesis" a while back but didn't feel like my photos did a very good job of capturing how amazing this polish. Seeing how often I wear this polish, I figured I would have another opportunity to photograph it. "Just Spotted the Lizard" is a beautiful duo-chrome polish with a foil finish. The main colors in the duo-chrome are gold and green, though sometimes you can also see some blue. 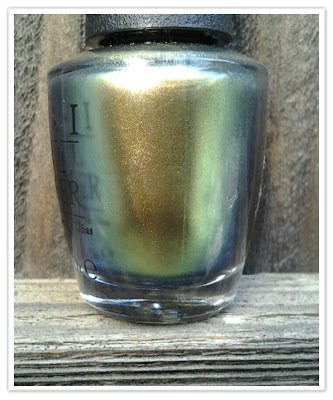 The formula of the polish is fairly decent, needing only two coats for opacity. I've heard a lot of about this polish being a dupe for Chanel's "Peridot," but on those claims I can neither confirm nor deny. 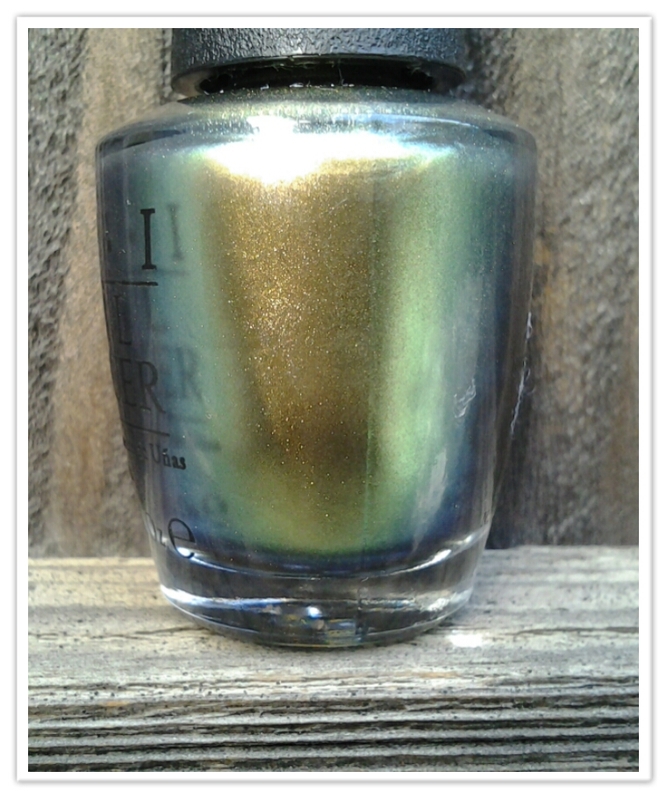 I'm pretty sure that China Glaze ended up releasing a polish that looked very similar as well. Either way, I love this polish and have been wearing it repeatedly throughout fall and winter. I took photos from various angles to capture the duo-chrome quality of this polish. This polish is nearly impossible to tire of. I love the duochrome. It looks chic and surprisingly sophisticated.